Philly isn’t exactly known as a haven for outdoor activities. We think that's partly because the 9,200-acre Fairmount Park is located across the river and is tough to reach via public transportation. The upside to this, though, is that the park has barely been touched by tourists. On nice days, take a walk along the Schuylkill River or play a round of disc golf (a cross between golf and frisbee; no special skills or equipment required) on the free-of-charge, 27-hole Sedgeley Woods Disc Golf Course. 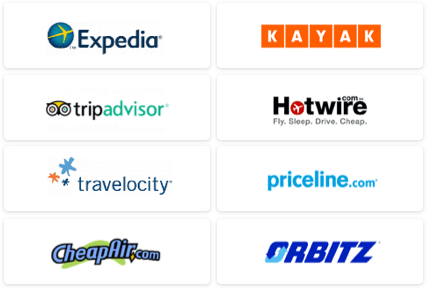 The park is best visited in the warmer months, but open all year long for those brave enough to bear the winter cold. As far as Philly cheesesteak is concerned, you've been there, done that. But did you know that Philly is (soon to be) famous for other kinds of sandwiches? Thanks to the city’s Italian-American community and culture, two sandwiches in particular – chicken cutlet and roast pork – have arrived in force. For the former, head over to Shank’s on South Columbus Boulevard to try the Chicken Cutlet Italiano or Chicken Parm Sandwich. 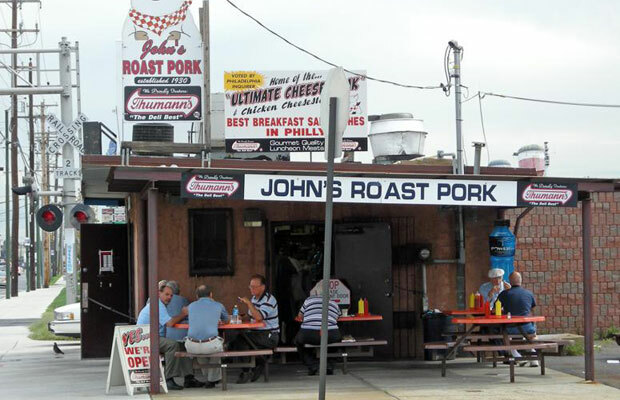 Then, if you still have room, head to John’s Roast Pork in South Philly. Sandwiches at both restaurants go for under $10. Philly has a great music scene, but none have the storied history of The Legendary Dobbs, located at the corner of 3rd and South Street. Nirvana, Pearl Jam, Rage Against the Machine, and Green Day all performed here before they made it big. 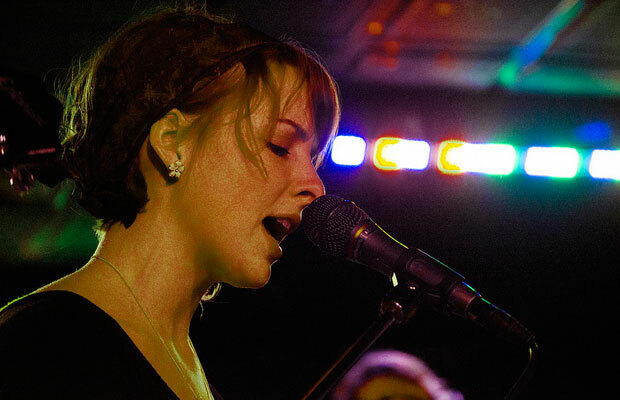 Today, The Dobbs is known for hosting local musicians and open mic nights. Stop in for a beer on your next visit and take special note of how small the place is – and how big Kurt Cobain or Eddie Vedder must have seemed on stage. It’s been a holiday tradition in Philly since 1955, and a particularly beautiful way to get your holiday shopping done. 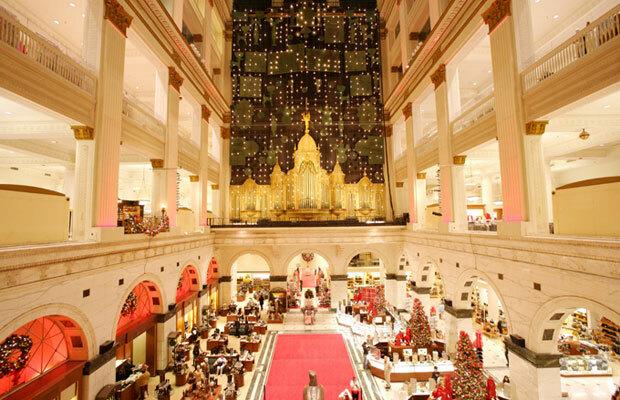 The grand atrium of the Center City Macy’s (formerly Wanamaker’s) features a holiday display of more than 100,000 lights and one of the world’s largest operating pipe organs (28,000 pipes). Hear it every two hours from 10 am to 8 pm, seven days a week during the holiday season. Upstairs, the third floor is transformed into Dickens Village. It brings A Christmas Carol to life with 100 fully animated figures in 26 of the story’s most memorable scenes. 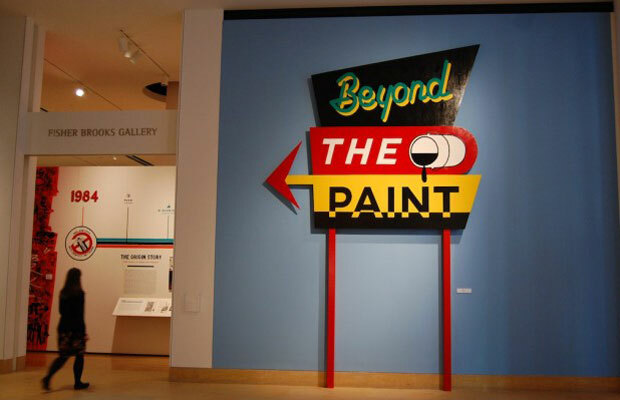 Both exhibits are free.